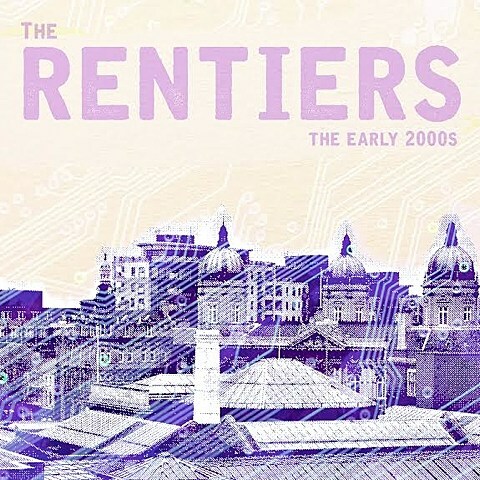 Joel Tannenbaum‘s (of Plow United, Ex Friends) project The Rentiers put out an EP and a few singles this year, and they’ll release another single, “The Early 2000s,” this week. Like other Rentiers songs, Joel splits the vocals with Anika Pyle (who fronted the defunct Chumped and now fronts Katie Ellen) and Mikey Erg drums, but unlike those songs, it was produced by Jesse Miller of jamtronica band Lotus. We’ve been seeing a good amount of crossover between the indie and jam worlds this year, but we can’t say we saw this one coming. But hey, punks is hippies after all. And that said, the collaboration works out really well! The song is a throwback to early 2000s dancepunk (as the title hints), and it shouldn’t really be a surprise that, together, Joel and Jesse have the perfect resume for that sound. The track premieres below. Lotus play Terminal 5 on February 6 (tickets), and Anika’s band Katie Ellen have a show with Chris Gethard this month (sold out). Anika also plays a solo show on April 2 at Mercury Lounge with Chris Farren, Crying and headliner Laura Stevenson (that’s a good lineup). Tickets are on sale. Mikey Erg just played a zillion shows, and next opens Vic Ruggiero’s (of The Slackers) Grand Victory show on Wednesday (12/16) (tickets), Brendan Kelly (Lawrence Arms) and Derek Grant’s Knitting Factory show on 1/22 (tickets), and Less Than Jake’s Hello Rockview show at Gramercy Theatre (3/10) with Bigwig (sold out).